The White Pants Agency is located in the Deep Ellum neighborhood of Dallas. Our 7,000 sf office hosts an open floor plan with many break out rooms and offices, film and photography studios as well as a large backyard. HQ hosts White Pants’ digital substantive experts and production team. 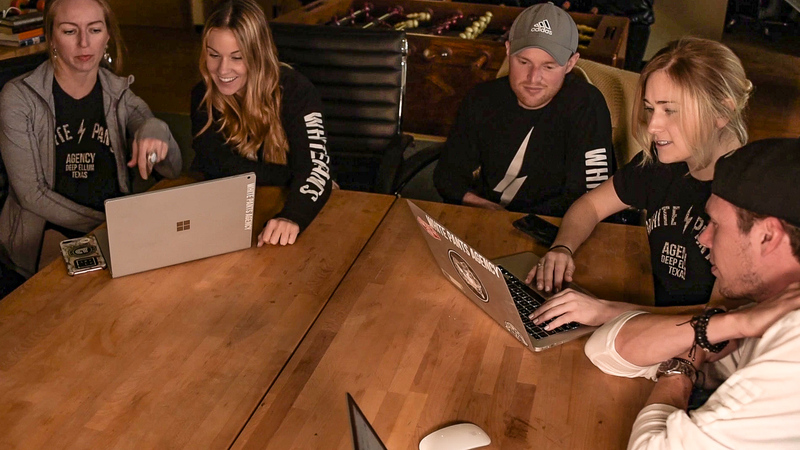 HQ is the perfect place for the White Pants team to connect with clients in honest collaboration. We have daily ping-pong tournaments on our Killerspin table as well as Foosball, Billiards and Darts competitions. We love hosting clients. Our doors are always open so come by and say hi! The White Pants Content Production Studio is located in beautiful Oahu, Hawaii. Video, art, design, music, scoring, voice over… whatever you can think of White Pants can produce it! This massive content production machine is where some of the most iconic content ever has been produced, from Boy Epic’s music/film infused trilogies to Kanye’s Graduation album.